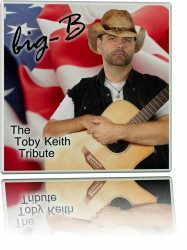 Big-B's tribute til sitt idol Toby Keith. sung by this Norwegian country artist big-B. It's a real Go Getter. The best TRIBUTE ALBUM dedicated to Toby Keith from Norway.